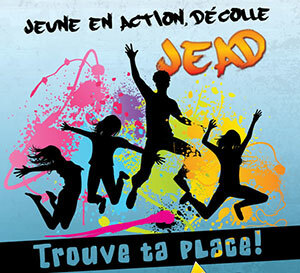 Jeune en action, décolle (JEAD) wants to help youth develop a positive skill set for a smooth social reintegration. Through its diversified and dynamic activities, JEAD will teach participants how to communicate effectively, succeed in school, benefit from group dynamics, and make positive decisions that lead to positive actions. With JEAD, participants will develop autonomy, as well as social and professional skills to help them achieve a more harmonious and improved quality of life. JEAD is a program that promotes good physical and mental health, helps participants better understand the importance of respecting the law and respecting authority, and the consequences of having a criminal record and the impact it can have on their lives in the future. In short, JEAD will help youth develop behaviours and skills to better function in society. • Are you 12 to 17 years old? • Have you had or are you at risk of having problems with the law and want to put your past behind you? • Do you want to reinvent yourself in a positive way? If so, come and find your place! JEAD is for you!